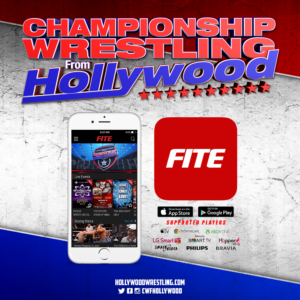 For the competitors of Championship Wrestling from Hollywood, each new year means a chance for glory by winning the Percy Pringle III Memorial Cup Tournament. 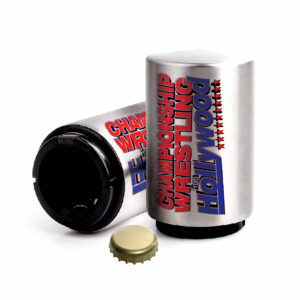 The winner of the Percy Pringle III Memorial Cup can challenge for any title in the United Wrestling Network and at any time he or she chooses, a right known as “Percy’s Privilege.” Past winners, whose names are transcribed on the PP3 Cup, include Ricky Mandel, Rocky Romero, YUMA, Dicky Mayer, and Ryan Taylor, who won the inaugural tournament. 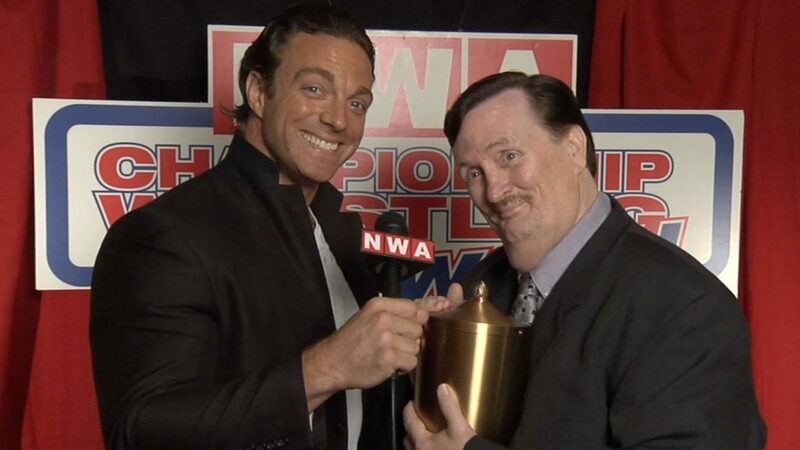 The inaugural PP3 Cup Tournament took place in 2012 and was organized by Percy Pringle III (known as Paul Bearer in WWE) who wanted to showcase the best that CWFH had to offer. At the time, Pringle managed Shaun Ricker (known now as Eli Drake), and felt that Ricker was worthy of a title shot. Thus, Pringle created the PP3 Cup Tournament and hand-picked which wrestlers would compete for a chance at Percy’s Privilege. In the finals, Ricker faced a tough challenge in Ryan Taylor. After Taylor accidentally knocked out the official, Ricker hit Taylor with the “Gravy Train” and went for the cover. Pringle attempted to count the fall himself, but was stopped by head matchmaker, Jon Ian. With a new official now in the ring, Ryan Taylor hit the “Perfect Circle” and solidified his place in history as the first ever PP3 Cup holder. Shaun Ricker (Eli Drake) and Percy Pringle III pose with the PP3 Cup. Like the inaugural tournament, the PP3 Cup Tournament was supposed to continue annually with Pringle selecting the competitors himself. However, on March 5, 2013, the professional wrestling industry lost a legend, when Percy Pringle III passed away. 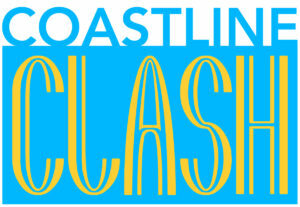 The decision was made to continue this tournament to honor Pringle’s legacy in CWFH and professional wrestling as a whole. Join us at the Oceanview Pavilion on January 14, 2018 as we commemorate Percy Pringle III with the beginning of the Percy Pringle III Memorial Cup Tournament.